Carly is a solicitor heading up the private wealth team at Brecher, which advises on both contentious and non-contentious private wealth, and both national and international issues. Carly has over 20 years’ experience in these areas. Carly acts for, and advises private clients, personal trustees, private trust companies, personal representatives, accountants, wealth advisers and family offices. The international element of her work has meant that she has worked with multiple jurisdictions, most recently the Channel Islands, BVI, US, UAE, India, Germany, Spain, France, Italy, Belgium and Sweden. 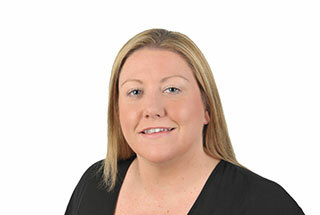 Carly regularly advises on trusts, wills, succession planning and inheritance tax issues, lasting powers of attorney, probate administration, philanthropy and family governance. Carly also has experience of advising on mental capacity issues. Within the field of UK and international private client disputes, Carly’s experience includes UK, international and cross-border probate and dependency claims, trust disputes, professional negligence and asset protection. Carly has a strong tax background which is invaluable in high net wealth and international disputes. Although Carly acts in hostile litigation, she sees litigation as the last resort. Mediation and negotiation to avoid Court is a strong part of Carly’s practice.